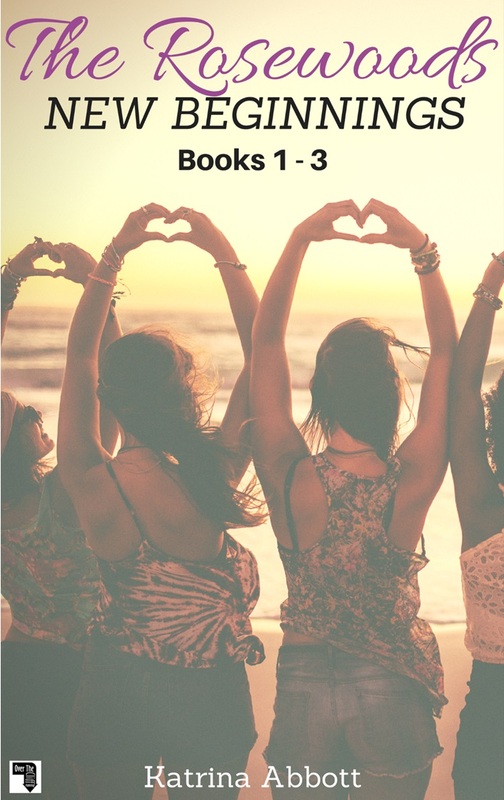 Book 3 of The Rosewoods Rock Star Series. Get your copy at: Amazon, iBooks, Barnes and Noble, Kobo, or Google Play. The only thing Sandrine Thibeault loves more than music is the people who make it. And, she’s not shy to admit, she has a special fondness for boy bands. Especially hot boy bands. So when she lands the gig as the exclusive vlogger for Wiretap, the newest ‘it’ band to hit the charts, her dreams have become reality. Maybe her dream of having a rock star for a boyfriend will become a reality, too. There are five of them, after all, so her odds are good. As she’s getting on the tour bus, she thinks the hardest part of this job will be picking which band member she wants as her own. And then when Wiretap befriends another, even more successful band, Sandy’s field of love interests nearly doubles. Dream. Come. True. Except tour life isn’t as fun and glamorous as it seems. The work is grueling, the hours are long, and her tiny bed on the bus is in what everyone calls the morgue–for good reason. Sandy’s life has become days filled with chugging coffee, trolling social media, fending off crazed fans, late nights backstage, and roadside diners–never the same one twice. Not to mention she’s sharing one microscopic bathroom with nearly a dozen people. Tour is so much more than she signed up for in every way, but as her relationships with the guys deepen and grow, she wouldn’t want to be anywhere else than on the road working for the band. 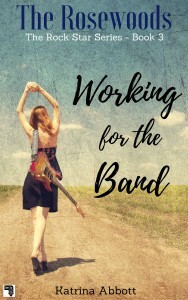 Until it all threatens to come crashing down in ways Sandy never could have imagined–maybe she’s not cut out for the rock star life after all. 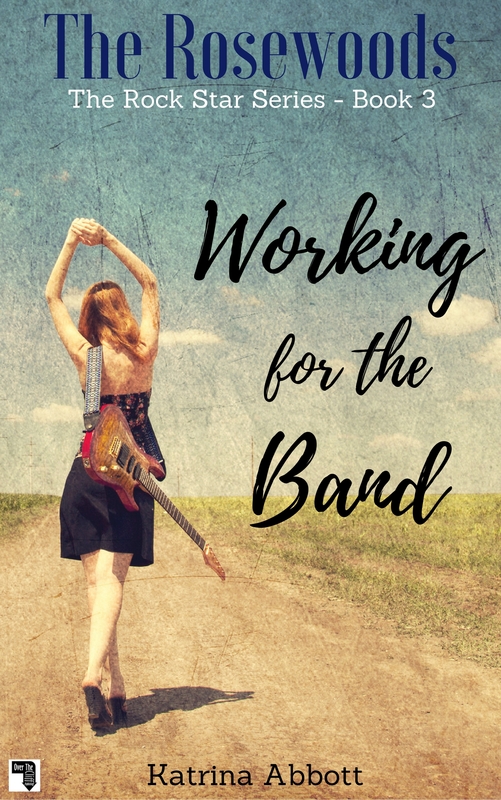 Working for the Band is the third book in The Rosewoods Rock Star series, for readers who love swoony romantic comedies about rock stars and the girls who can’t resist them.